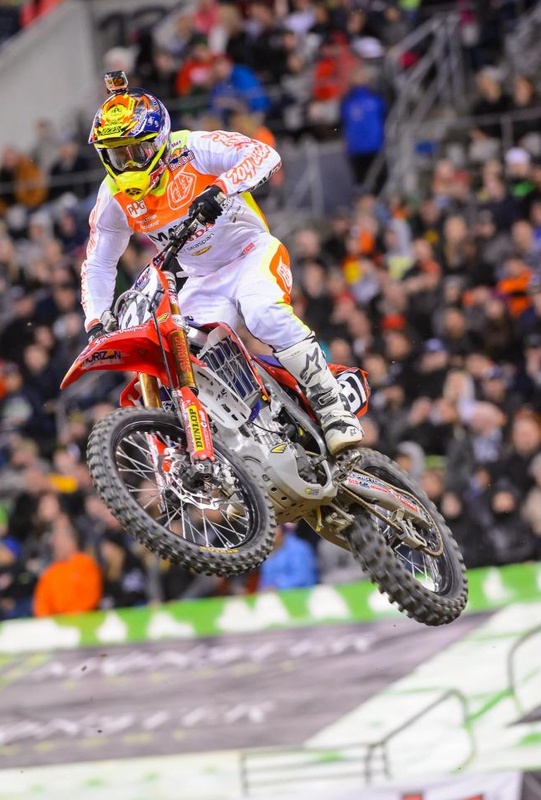 The Troy Lee Designs / Lucas Oil / Honda team showed up in Seattle ready to fight. The pacific northwest usually deals up some type of inclement weather but this year it was perfect weather for racing. Still, the Seattle dirt is soft and ruts up quickly, leaving a technical course for riders to contend with. 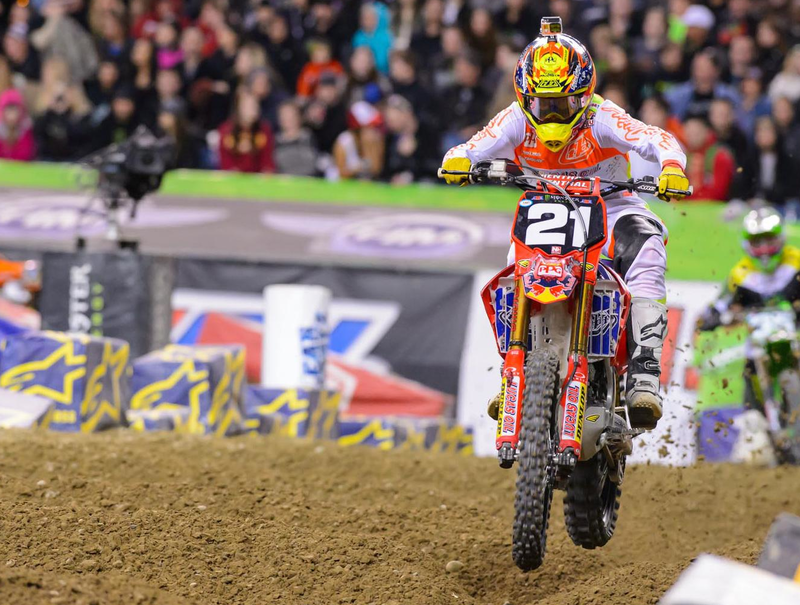 That made it even more impressive that Cole Seely romped away for his second win of the season. Shane McElrath and Jessy Nelson opened the first heat up and flew around turn one in third and fifth, respectively. Shane quickly made a move to second and spent the entire heat race staring at the back of the leader. On the last lap, however, a massive crash would send him flying through the air and onto the Washington soil. Shane somehow managed to pick himself up and finish in sixth. Jessy, meanwhile, was having a good race and crossed the line in fourth. 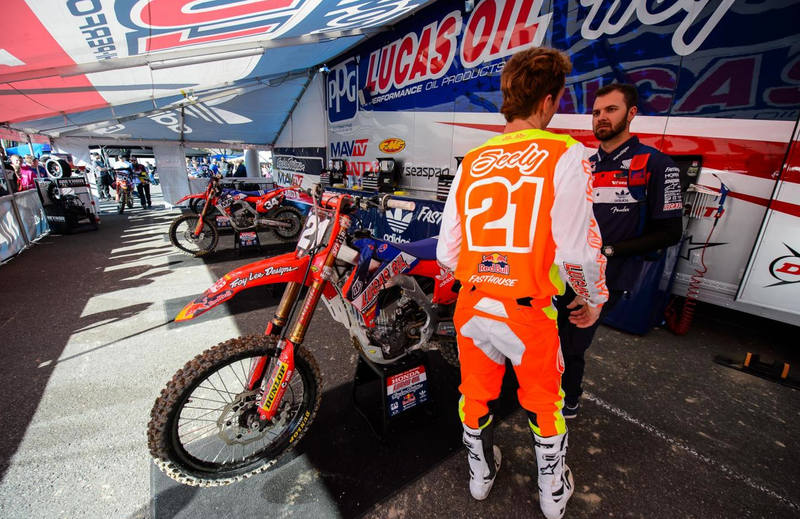 Cole Seely and Malcolm Stewart lined up for heat two looking to build some momentum for the main event. Malcolm ran in third early while Cole was buried in eighth. Stewart held his position and scored a third while Cole would struggle to get into a rhythm and earn fifth in his heat. It wasn't the momentum-builder they wanted but it did put them in the final. 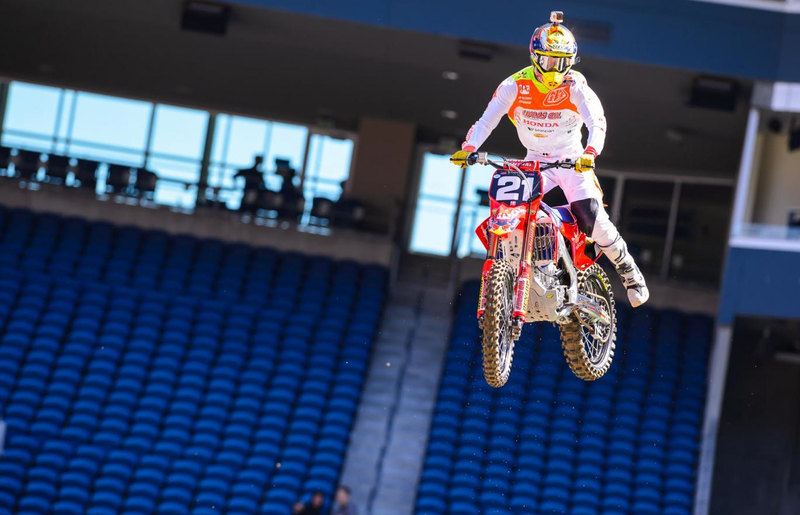 Despite his struggles in the heat race and a difficult practice earlier that day Cole was confident he could make things happen in the main event. 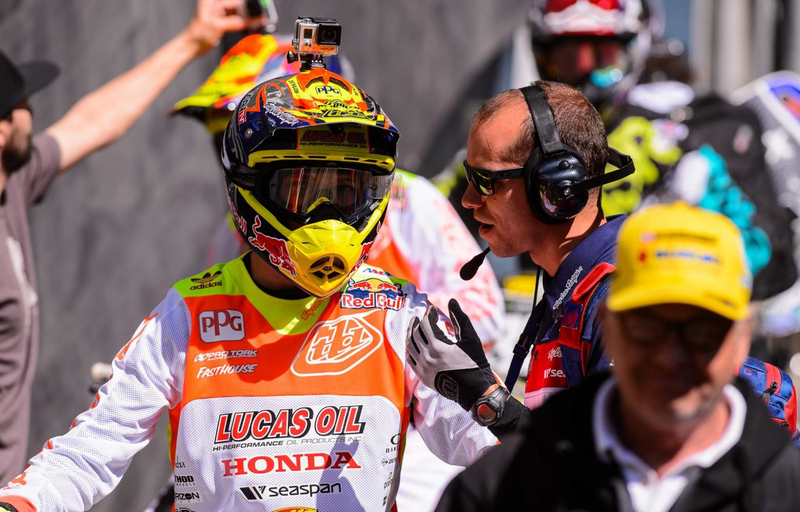 When the gate dropped for the 15-lap final Seely and Nelson were both inside the top-five, Stewart was tenth and McElrath ran in the fifteenth position. Cole was making magic happen out front and by the end of the first lap he was in the lead and taking off. 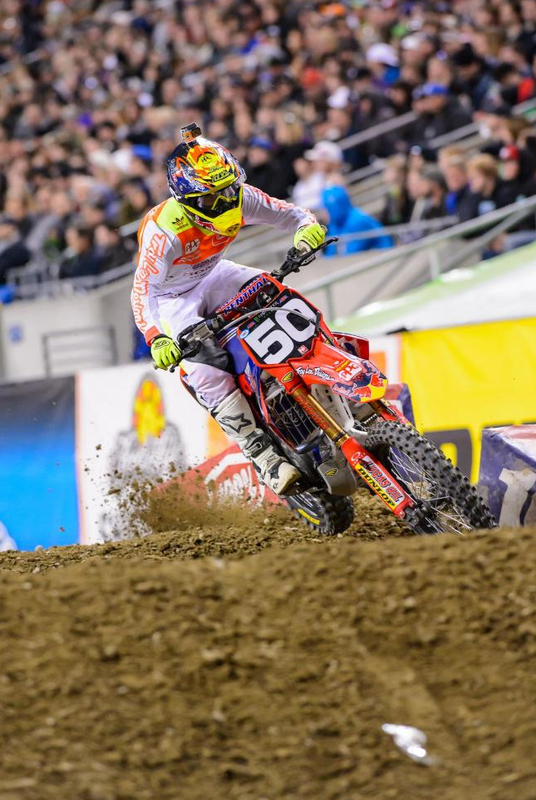 Behind him Jessy Nelson was crafting his best ride of the year with a fifth place finish. Stewart and McElrath both had their issues but managed to stay inside the top ten finishing ninth and tenth as the checkers flew. There is one final round left to run in the series in Las Vegas in two weeks time. 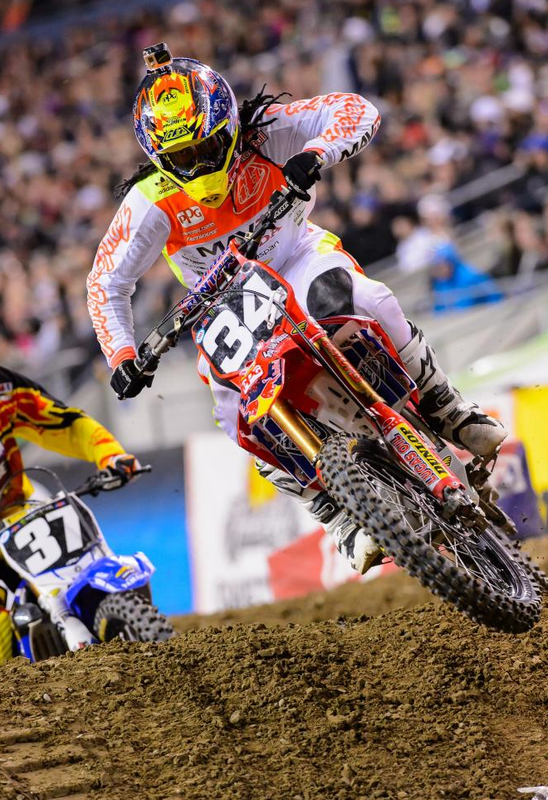 Currently Seely is second in points just eight behind the leader. He'll need some luck in Vegas but he certainly still has a shot. 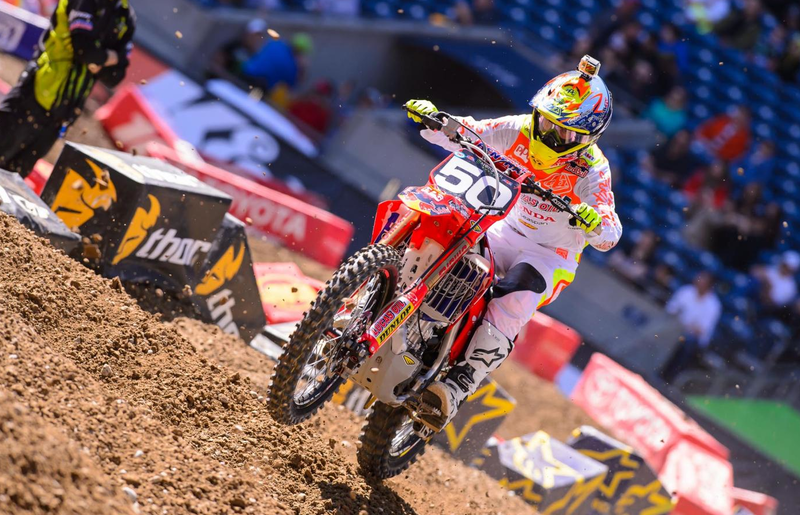 Malcolm is tied for fifth in the standings, Nelson sits in seventh and McElrath is currently ninth. That's a lot of TLD riders posted up inside the top ten. Be sure to follow the action as the team invades Las Vegas, Nevada for the final round on May 3rd.